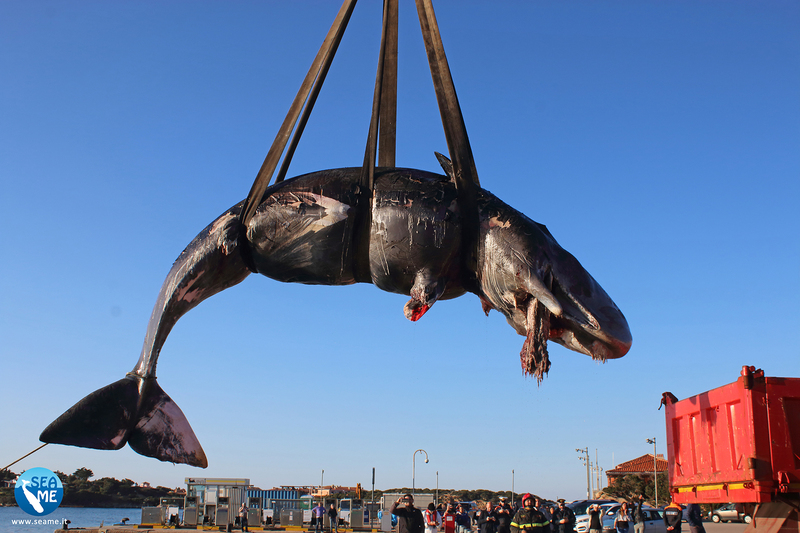 Rome, 1 April 2019 - A young pregnant sperm whale was found dead with 22 kg of plastic in its stomach along the coast of Porto Cervo, the famous tourist destination in Sardinia (Italy). Its 2mt long fetus was also found dead. Plastic bags, single use plates, packaging, fisheries items and other plastic waste had caused the death of the protected cetacean. This is the sixth case reported in the past year, and comes less than a month after the death of another whale in the Philippines that had been found stranded with over 40 kg of plastic in its stomach. “This is yet another painful reminder of the devastating impact that plastic pollution is having on our oceans and the terrible damage it is causing to marine life. Current efforts to tackle the problem are simply not working and, just few weeks ago, world governments again failed to take decisive action on marine plastic pollution at the UN Environment Assembly in Nairobi. The European Union has recently adopted a new Directive that will ban key single-use items like plastic plates, cutlery and straws by 2021. WWF is calling on all Member States to urgently implement the new law and adopt even more ambitious production and waste management policies to stop plastic from reaching the Mediterranean Sea and our environment. More than 370 000 people from around have joined WWF’s global petition calling for a legally binding deal on marine plastics pollution.